Works on all systems and pressures. Up to 3x more flow with Mira Magni-flo™ technology. 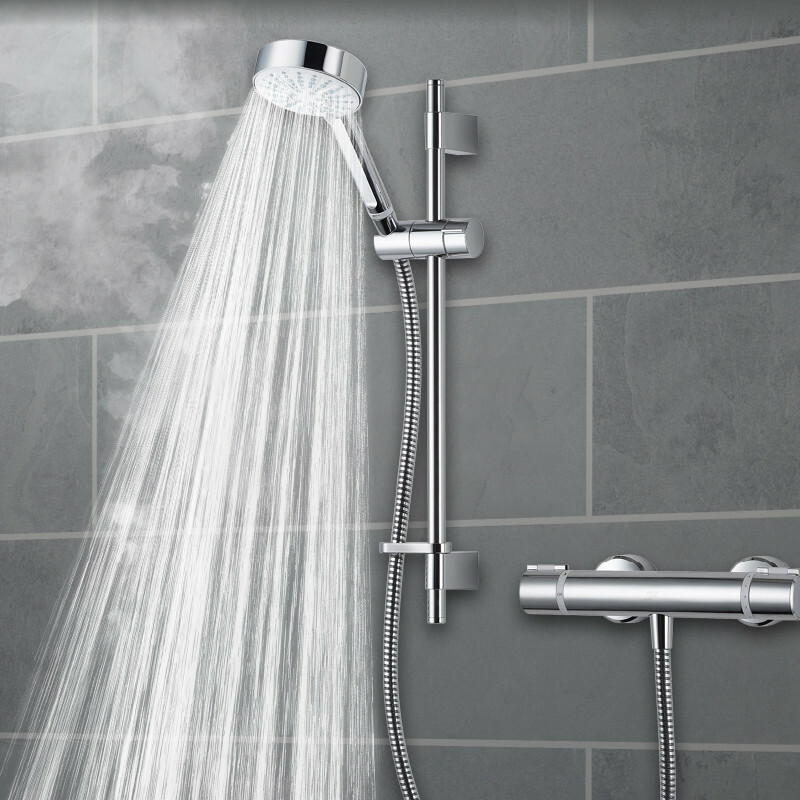 Cool shield™ technology ensures the valve doesn’t get hot during showering. Includes fast-fix kit for hassle free installation. 110mm four spray shower head coverage. 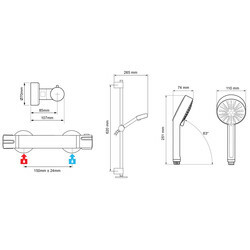 Adjustable fittings kit covers existing screw holes for easy replacement. 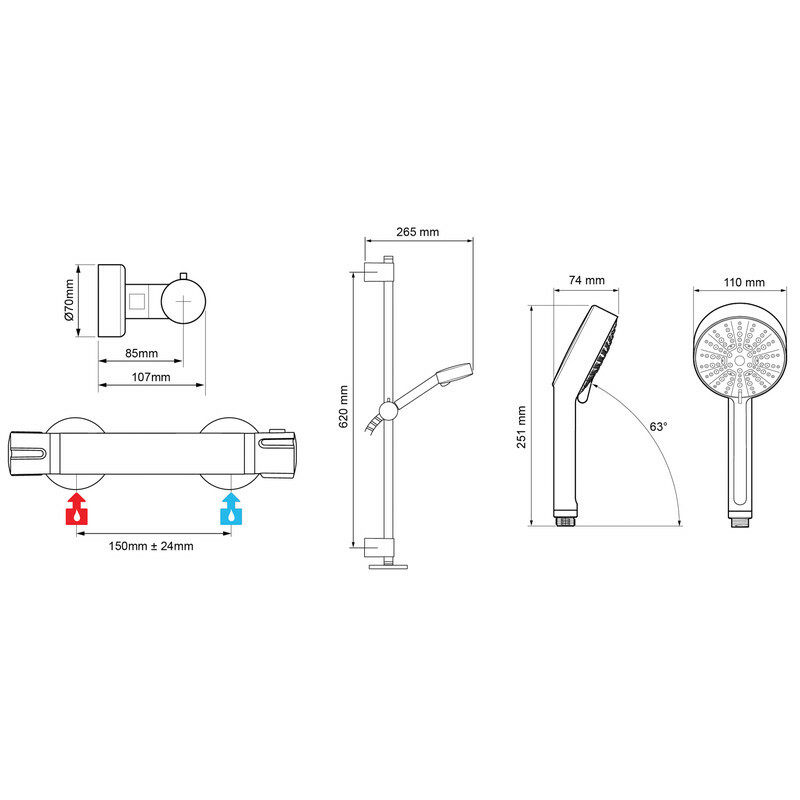 Mira Atom EV Thermostatic Bar Mixer Shower Valve & Kit is rated 5.0 out of 5 by 2. 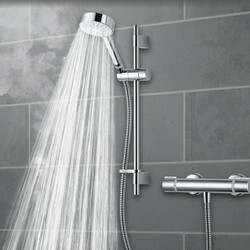 Rated 5 out of 5 by Adenergy from Great shower As a plumber I'm always looking for decent showers to install. I've got one of these at home and just fitted one for a customer. I'll only fit these if they are the right price. 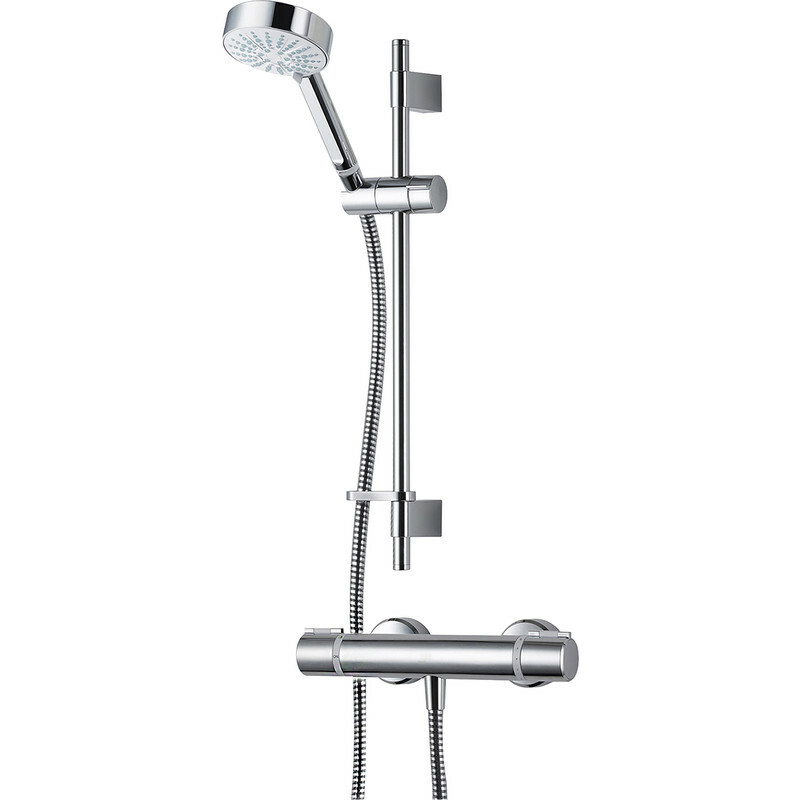 Rated 5 out of 5 by Pezza1q from Great Shower Had mine 2 years now and comes with a 5 year guarantee and is very stylish. Mixer is so easy to work water flow on one side and heating on the other. Very please with the purchase and easy install.